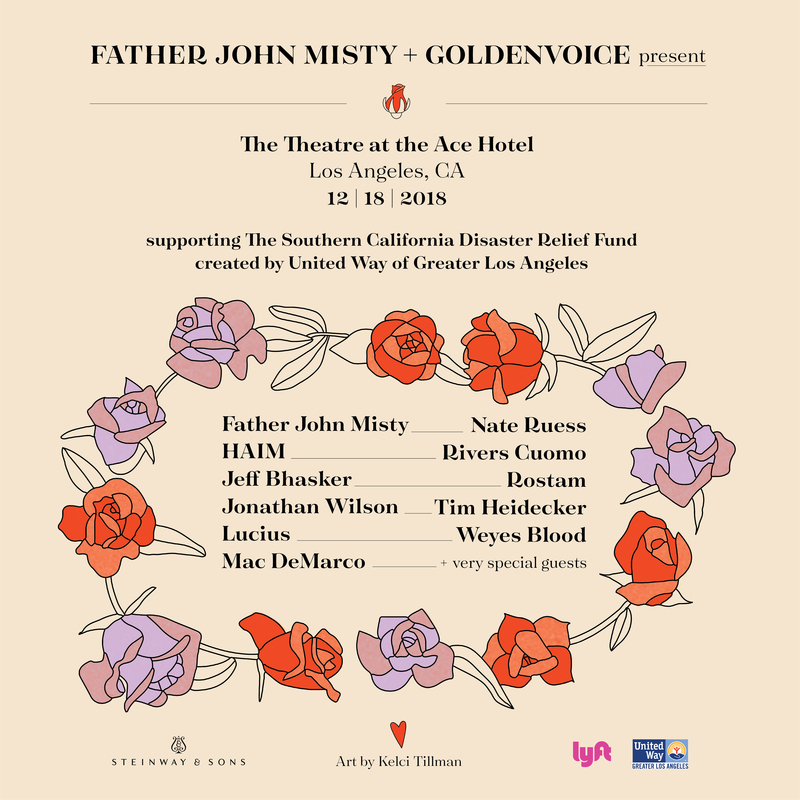 On Tuesday Dec 18, Mac will be a part of The California Wildfires Benefit Concert at the The Ace Hotel in LA hosted by Father John Misty. All Net Proceeds will directly support Southern California Disaster Relief Fund. The fund provides longer-term support to help low-income individuals and families rebuild their lives. You can get tickets here! The United Way’s Southern California Disaster Relief Fund supports low-income LA residents whose lives and livelihoods are affected by the current wildfires in Southern California. Created by United Way of Greater Los Angeles, in partnership with United Way of Ventura County, the fund primarily provides longer-term support to help low-income individuals and families rebuild their lives. *visit www.unitedwayla.org/2018fires and enter ACEBENEFIT in section labeled “This donation is on behalf of” in order to be reported into total from this benefit. Next post: Mac’s ACL Taping to Air on PBS December 15th!